Here at Nadia Murdock Fit I always stress the importance of training your mind so you can change your body! Alexa Rose Carlin founder of Hello Perfect shares her personal story of how the power of her mind helped her overcome a number of hurdles in her life. Continue reading Alexa's personal journey and learn how you too can use your own mental power to make profound changes in your life. In the past year I have personally witnessed the power of my mind. I’ve always been a firm believer of Buddha’s well-known quote, “All that we are is the result of what we have thought,” but I’ve never realized how true this really is until this past year. It all started in September 2012 when I returned to the University of Florida after having an incredible week interning at New York Fashion Week. I met Marc Jacobs and Mark Cuban, got their definitions of “perfect” for my company, Hello Perfect, was living with my 3 best friends in my senior year of college and was falling in love for the first time. I remember looking in my bathroom mirror in my college apartment and saying to myself, “Something is going to go wrong. How can my life be this perfect?” Two weeks later, I traveled home for my sister’s 16th birthday party and two days after the celebration we found a suicide letter. I thank god every day for having us find the note in time and saving my sister’s life and I am grateful to say that she has made a full recovery. However, after that incident my entire world turned upside down. I fell into a deep depression, and if anyone knows me, I’m the last person you would ever think would be depressed. As my mind continued to pull me down, everything in my life followed. I began getting mentally abused by my boyfriend, crying almost every single night. I drank, I smoked and didn’t talk to anyone other than my roommates. I wanted to be hurt and I wanted everyone to see it. Now, looking back, I realized I created that. I wanted to feel hurt so I let my boyfriend abuse me. I wanted to be alone so I lost my entire social life. I wanted to feel tears so I cried myself to sleep every single night. As the months went by, I finally took a stand and broke up with my boyfriend in December and after my first real love came with it my first real heartbreak. Then, as the new year approached I said to myself that this was going to be a new chapter. But saying it and really believing it are two completely separate things. I was still depressed, sad and felt like I had lost everything. Then, on January 26, I was rushed to the emergency room at Shands Hospital in Gainesville where I went into septic shock. I was medically induced into a coma for five days and spent eight days in the Intensive Care Unit. I woke up from the coma with a mask on my face, a tube down my throat and I was hooked up to nine different bags of antibiotics. I couldn’t breathe, move or speak on my own. I wasn’t even able to have a glass of water. I vividly remember what I was doing to have my mind heal me. I knew this wasn’t the end of my life and I wasn’t about to let it be. I envisioned my mind to be light pink, beautifully healthy while the rest of my body was black and rotting away. I pushed this pink color from my mind, down to my throat, to my heart, then my lungs and throughout my entire body. I remember working so hard to try and make the rest of my body healthy. The doctors told my family and friends twice during my time in the hospital that I may not survive. To their surprise, I did! I never stopped using my mind the entire time I was in the ICU. I firmly believe this helped save my life and heal my body. My life has definitely changed since this experience and it will forever be an internal scar within me. I have a compromised immune system and continue to get sick, but I now know the power that is capable within my mind. Instead of harping on the past and wishing things never happened, I have to be grateful that this experience happened because I survived and I know I survived for a reason. Every day I see the effects my mind has on my life. When I’m feeling sad and sorry for myself, nothing goes right that day and I fall back into depression. Now, every day, I work to only allow positive thoughts to enter my mind and when a negative one gets through, I don’t harp on it. I recognize it and then just let it pass. Every single one of us has this power. We have the power to be happy and to make our dreams our reality! As positive thoughts enter your mind, positive things will happen to you. Live the life you dream! When you begin to see yourself living in your past or falling into a series of negative thoughts, just remember that what you think will manifest into your reality. Remember this story. Save your life now, don’t wait until something traumatic happens to you to realize that at this moment you are meant to be living. Be grateful for each day and be grateful for every breath you take. 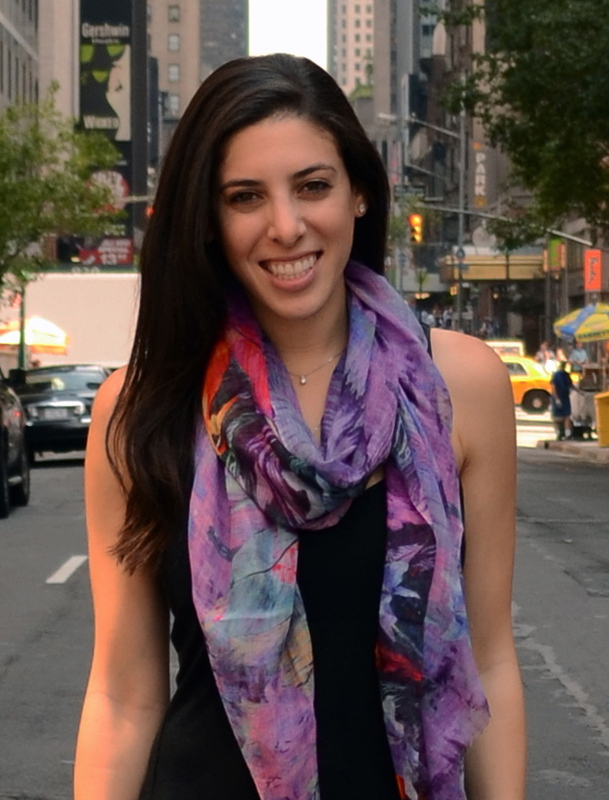 Alexa Carlin is the Founder of HelloPerfect.com She is a recent graduate of the University of Florida and currently resides in New York City where she runs Hello Perfect and is the Social Media Manager for Pure Global Brands, Inc. Alexa is also a student at the Institute for Integrative Nutrition where she is studying to become a certified health coach. Her dream is to inspire people around the world to gain the confidence to chase after their dreams. Have questions for me? Tweet me @NadiaMurdockFit #AskNadia Make sure to sign up for my newsletter on the homepage of Nadia Murdock Fit. You can also find me on Facebook by clicking here!